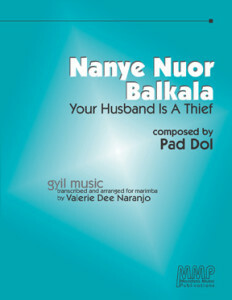 Most Gyil songs share some wisdom or teach a lesson to the community. Nanye Nuor Balkala was written by one of Ghana’s oldest and most respected gyil masters, to alert a thief that his guilt is recognized. The song is addressed to the guilty one’s wife.